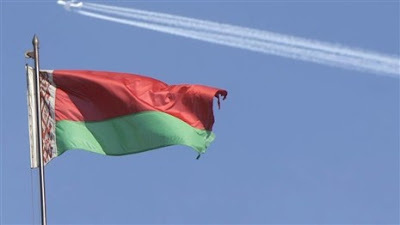 MINSK, Belarus -- Ukrainian media trainer and adviser Oleg Khomenko was not allowed in Belarus on March 20. He was reported at the passport control at the airport that he’s on the list of banned in the country. "I called the Embassy of Ukraine in Belarus. They promised to call back first, but then answered that they couldn’t help me at all. An employee of the embassy refused to give his name," he said. The same evening, the media expert was sent the same airline flight back to Kiev, said BBC Ukraine. Oleg Khomenko has already written statements to the Ministry of Foreign Affairs and Chairman of the Parliamentary Committee on Foreign Affairs, Oleh Bilorus, with a request to find out on what grounds and for how long it he’s not allowed to enter Belarus. He also requests the Minister to confirm or deny the existence of a list of persons banned to enter Belarus, as well as to explain the mechanisms to review the incident. Meanwhile, the Parliamentary Committee of the Verkhovna Rada of Ukraine on issues of freedom of expression and information formally requires the Ukrainian Foreign Ministry to protest against the actions of Belarus. "We urge the Minister to assess the action of the Ukrainian Embassy in Belarus, which has not provided any assistance to Oleg Khomenko, as well as to protest against the actions of the Belarusian border guards," said a committee member, member of "BYT-Fatherland" Andriy Shevchenko. Ukrainian MPs also require some explanation on what grounds and for how long Oleg Khomenok is banned from entering Belarus. In addition, they require answering the question on the existence of the lists of persons who are forbidden to visit Belarus, as well as explaining the procedure for removing the ban. Oleg Khomenok is a member of the public council at the Verkhovna Rada Committee on Freedom of Expression and Information, a board member of the Institute of the regional press and media adviser to Internews Network. The activities of the latter organization are banned on the territory of Belarus. However, according to the media expert, his trip had nothing to do with Internews Network; its purpose was to advise the local publishing house. As Telegraf previously reported, Oleg Khomenko is not the first citizen of Ukraine, denied entry to Belarus. For example, March 9, 2011, Ukrainian human rights activist Maksim Kitsyuka was not allowed in Belarus. April 20, Belarusian border guards detained Ukrainian human rights activist Marina Tsapok to enter the country at the border crossing on the frontier "Teryuha." April 21, the deputy head of the Ukrainian youth organization "Foundation of Regional Initiatives," Ukrainian human rights activist Mikhail Kamenev was denied entry to Belarus as well. September 30, a member of the All-Ukrainian youth public organization Foundation of regional initiatives, human rights activist Vladimir Senko was not allowed to cross the border of Belarus, too.